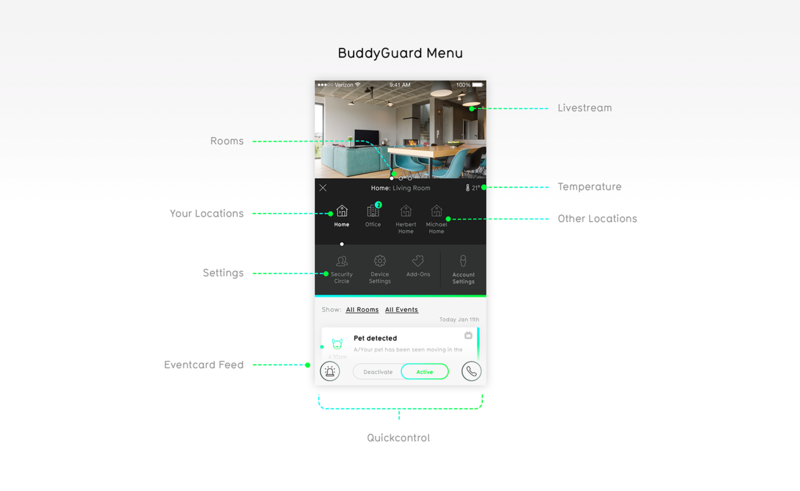 BuddyGuard Home Security App is a UI/UX project designed and shared by Bureau Oberhaeuser. 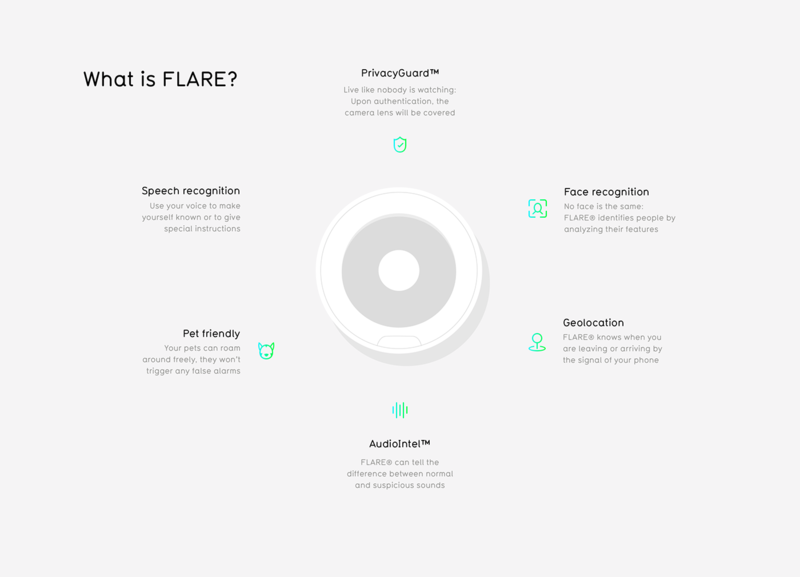 The goal of the app is to control a camera and security system called FLARE, a smart system that updates itself. 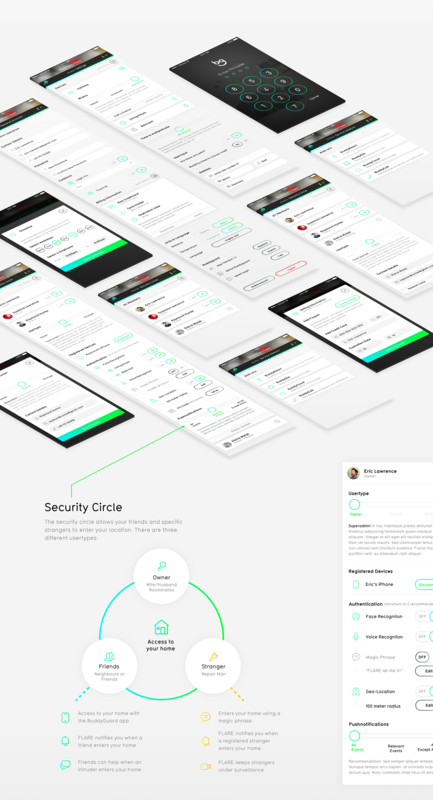 There are lot of cool things about this project, but for me the main reason is the challenges of designing an app like that. What sometimes might seem trivial becomes a huge set of flows and edge cases. FLARE is the world’s first security system that protects your home all by itself. 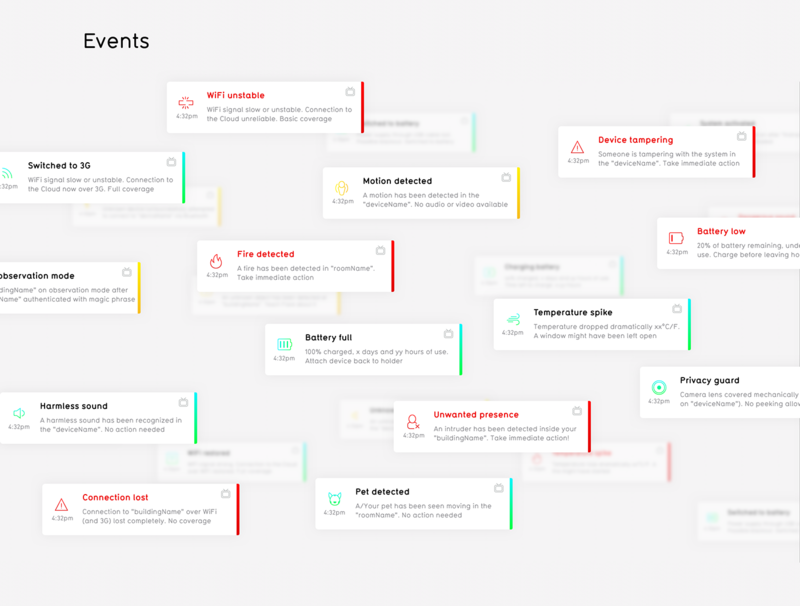 It uses Artificial Intelligence to identify people and rapidly analyzes every situation before taking action. To control your FLARE we designed the BuddyGuard app to enable an intuitive communication with the device. The app guides you through the setup for installation and features like geolocation, face and voice recognition. Showing a live video and a stream of relevant events below you can always monitor your home, select other locations, change your device settings or invite friends to your security circle. 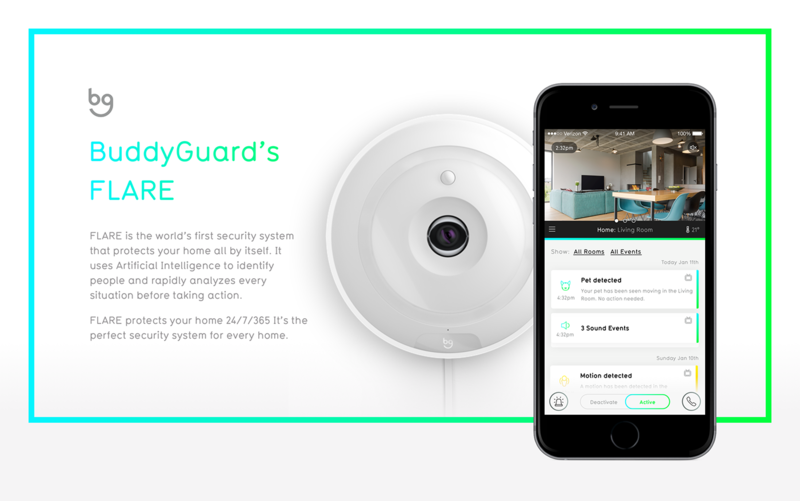 BuddyGuard's FLARE® – Easy and intelligent home security from BuddyGuard on Vimeo. Bureau Oberhaeuser is a design bureau focused on Information- and Interface Design. The Bureau was founded in 2011 in Hamburg by award-winning designer Martin Oberhäuser. Our work is inspired by our passion for complex data visualization and informationdesign. We believe that almost every challange can be solved with creativity and design thinking. We are taking a look at this mobile app concept called: inTheaters, designed by Arthur Galustyan. This is a combination of interaction design and UI/UX, the concept of the app is a mixture of IMDb and your favourite movie tickets app. I guess weather apps are part of what we would qualify part of our daily routine, personally I related myself to Google Apps. But they are a numerous amount of applications out there that shares a "fun" factor to the mix.